Altbach, P. (2007). The Imperial Tongue: English as the Dominating Academic Language. Economic and Political Weekly, 42 (36), 3608-3611. Boyd, W. L. (2004). Relaunching the American Journal of Education in «Interesting Times». American Journal of Education, 110 (2), 105-107. Castells, M. (2004). Informationalism, Networks, and the Network Society: A Theoretical Blueprint. En M. Castells (Ed. ), The Network Society: A Crosscultural Perspective (pp. 3-48). Reino Unido: Edward Elgar. Cerecer, P. (2013). The Policing of Native Bodies and Minds: Perspectives on Schooling from American Indian Youth. American Journal of Education, 119 (4), 591-616. COPE (2018). Promoting integrity in research and its publication. Eastleigh, Reino Unido: página de inicio. Recuperado de https://publicationethics.org/ (Consultado el 19-06-18). COPE (9 de noviembre de 2016). Manual of conduct for editors. Recuperado de https://publicationethics.org/files/Full%20set%20of%20English%20flowcharts_9Nov2016.pdf (Consultado el 19-06-18). Dewey, J. (1896). Influence of High School upon Educational Methods. School Review, 4 (1), 1-11. Evans, P. y Krauthammer, M. (2011). Exploring the use of social media to measure journal article impact. AMIA Annual Symposium Proceedings Archive, 374-381. Recuperado de https://www.ncbi.nlm.nih.gov/pmc/articles/PMC3243242/ (Consultado el 19-06-18). Eck, N. J. Van y Waltman, L. (2014). Visualizing bibliometric networks. En Y. Ding, R. Rousseau y D. Wolfram (Eds. ), Measuring scholarly impact: Methods and practice (pp. 285-320). Berlín: Springer. Eysenbach, G. (2012). Correction: Can tweets predict citations? Metrics of social impact based on twitter and correlation with traditional metrics of scientific impact. Journal of Medical Internet Research, 14 (1), e7. Garfield, E. (2006). The History and Meaning of the Journal Impact Factor. JAMA, 295 (1), 90-93. Goddard, Y. y Goddard, R. (2015). School Instructional Climate and Student Achievement: An Examination of Group Norms for Differentiated Instruction. American Journal of Education, 122 (1), 111-131. Goodyear, R. K., Brewer, D. J., Gallagher, K. S., Tracey, T. J., Claiborn, C. D., Lichtenberg, J. W. y Wampold, B. E. (2009). The intellectual foundations of education: Core journals and their impacts on scholarship and practice. Educational Researcher, 38 (9), 700-706. LaPoe, J. L. (1927). The Senior High-School Principals’ Professional Magazines. Educational Research Bulletin, 6, 259-61. Moolenaar, N. M. (2012). A social network perspective on teacher collaboration in schools: Theory, methodology, and applications. American Journal of Education, 119 (1), 7-39. Schwartz, S. (diciembre, 2014). American Journal of Education Receives Top Rankings. College of Education, Penn State University: News and publications. Recuperado de https://ed.psu.edu/news/news-oct-dec-2014/AJE (Consultado el 19-06-18). Scimago (2018). Scimago Journal & Country Rank. Recuperado de https://www.scimagojr.com/journalrank.php?area=3300&category=3304 (Consultado el 19-06-18). Smart, J. y Elton, C. (1981). Characteristics and Citation Rates of Education Journals. American Education Research Journal, 18 (4), 399-413. Spillane, J. P., Hopkins, M. y Sweet, T. M. (2015). Intra-and interschool interactions about instruction: Exploring the conditions for social capital development. American Journal of Education, 122 (1), 71-110. Supovitz, J. (2017). Social Media is the New Player in the Politics of Education. Phi Delta Kappan, 99 (3). University of Chicago Press (2013). Circulation and Marketing Report for the American Journal of Education. Chicago: University of Chicago Press Journals Division. University of Chicago Press (2018). Publisher’s Report for the American Journal of Education. Chicago: University of Chicago Press Journals Division. Wechsler, H. (1979). The Primary Journal for Secondary Education, 1893-1938: Part I of a History of School Review. American Journal of Education, 88 (1), 83-106. Recuperado de http://www.jstor.org/stable/1085277 (Consultado el 19-06-18). Wechsler, H. (1980). From Practice to Theory: A History of School Review, Part II. American Journal of Education, 88 (2), 216-244. Recuperado de http://www.jstor.org/stable/1085306 (consultado el 19-06-18). Gerry Le Tendre es Catedrático de Liderazgo Educativo en la Pennsylvania State University y Coeditor de American Journal of Education. 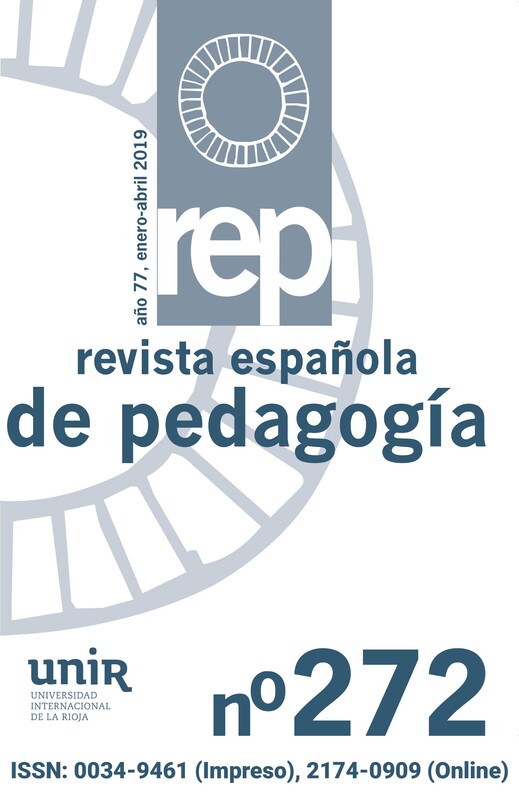 También forma parte de los consejos editoriales de Educational Researcher e International Journal of Teacher Leadership. Anteriormente fue redactor adjunto de Comparative Education Review y miembro del consejo editorial de Sociology of Education. G. Eric McGinnis es estudiante de doctorado en Teoría y Política Educativa y Educación Comparada e Internacional en la Pennsylvania State University. Editor Jefe de American Journal of Education. Sus investigaciones se centran en la educación no formal, el movimiento scout mundial y las artes escénicas. Dana L. Mitra es Catedrática de Estudios de Política Educativa en la Pennsylvania State University. Editora fundadora de la International Journal of Student Voice y Coeditora de American Journal of Education. Ha publicado más de 30 artículos y dos libros sobre los temas de la voz de los estudiantes y la participación ciudadana. Rachel L. Montgomery es candidata a doctora en Educación Superior en la Pennsylvania State University. Doctoral Fellow en la American Bar Foundation / AccessLex Institute en Educación legal y Superior. Anteriormente trabajó como Editora Jefe de American Journal of Education. 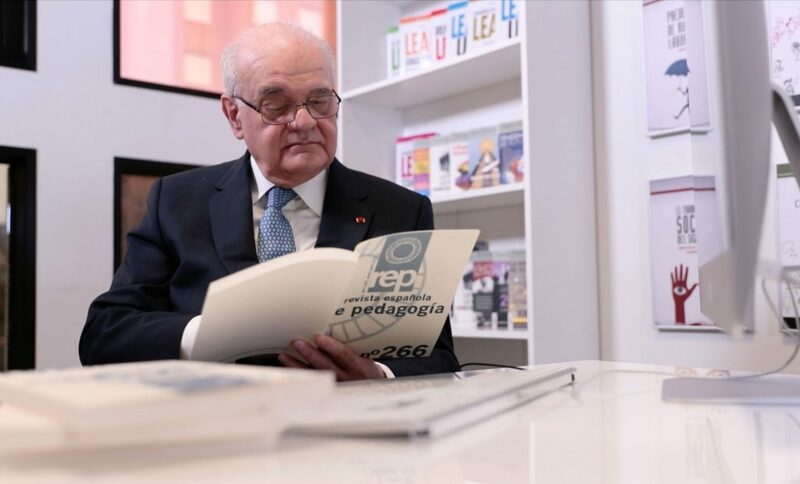 Su investigación explora diversos enfoques del liderazgo a nivel ejecutivo. Su trabajo de doctorado se centra en los codecanatos de las facultades de Derecho de Estados Unidos. Andrew Pendola es Doctor en Filosofía y graduado en Teoría y Política Educativa por la Pennsylvania State University. Actualmente trabaja como Profesor Asociado de Liderazgo Educativo en la Auburn University y como Editor Jefe para la American Journal of Education. Su investigación se centra en la dinámica del mercado laboral para educadores.